For years, Symbility Claims Connect has been an industry leader when it comes to helping teams stay organized and communicate information amongst one another through the the full cycle of a property insurance claim. From the minute a policyholder notifies their carrier to start a claim, Claims Connect has helped keep everyone who will work on that claims, up-to-date and making sure they all have access to all the same information. People have relied on Claims Connect to keep claims moving forward, but we knew we could make it even better and easier to use. 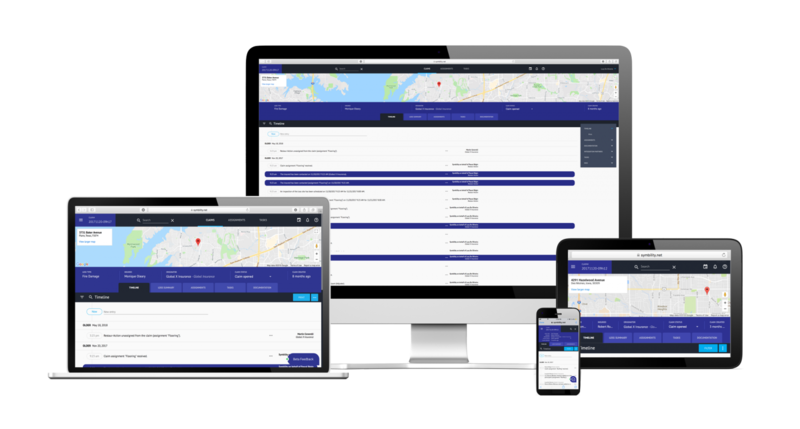 We are thrilled to finally show off a completely redesigned version of Claims Connect that you’re going to love to use even more. Utilizing our services division, Symbility Intersect, we took the time to talk to with a number of different users to learn about how they were using Claims Connect. From frontline staff at insurance carriers, to independent adjusters, to third-party contractors, and others along the supply management chain, we wanted to know what they needed to get done most often in Claims Connect, how they were currently doing it, and what they believed could be improved. From there, we utilized Intersect’s deep knowledge and skills for digital product strategy and design and we set out to completely redesign the user interface of Claims Connect so that it could serve all of these different users and the jobs they needed to get done in the easiest, most efficient, and best looking ways possible. The result is the all-new Claims Connect that is available for you to start using today. The first thing you’ll notice with Claims Connect, is the brand user interface that has been completely redesigned so that important information can be found quickly and even easier to take action on. You’re able to see all the work that has already been done on a claim with the all-new timeline view, or new thumbnail previews for documents, so that you know you’re always working with the right information. Being able to find the information you need is just the first step. The new Claims Connect now makes it even easier to take action on that information. A special focus was to create enhanced workflows for the most commonly performed claims activities inside the software. Contextual quick actions make sure that users can easily act on the information they’re currently viewing through the use of pop-out blades. This means that any operation that can be taken on the information being viewed is easily presented to the user without making them hunt through the software on other pages. This makes working on a claim easier and more efficient. Another new enhancement that we’re really excited to tell you about is, for the first time ever, Claims Connect can be used while on the go. We built this new user interface using a responsive web design so that users can access the software on any device by using any internet browser. 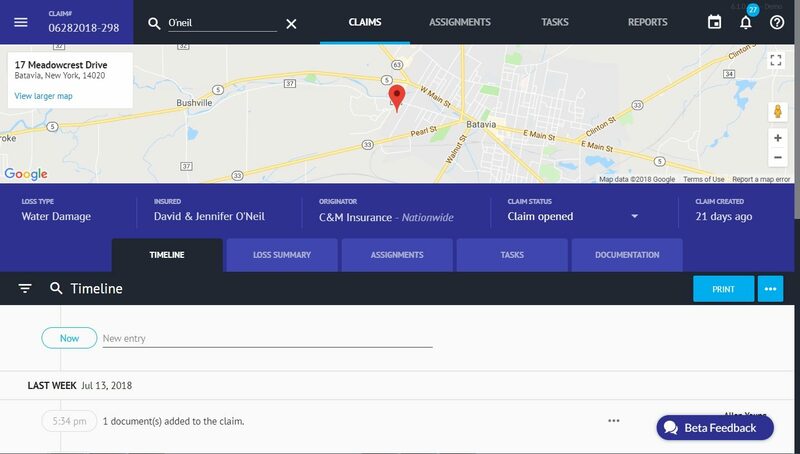 Now it’s possible to use Claims Connect from wherever you need it most. So if you’re out in the field, you can see the information you need, add new information or documentation (like pictures and measurements), or use it as a to-do list and mark actions completed in real-time, letting everyone else on the claim know that they can start on the next step. There are many more great changes and enhancements we’ve made to Claims Connect that will make it easier than ever for you to get your job done and your policyholders’ life back to normal. But why tell you about them when we can just show you? We’re very proud of this evolution of Claims Connect and have already been receiving feedback that it’s making the jobs of everyone across the entire claims workforce easier and that they’re able to get more done, quicker than ever before. We think you and your team are going to love it too. 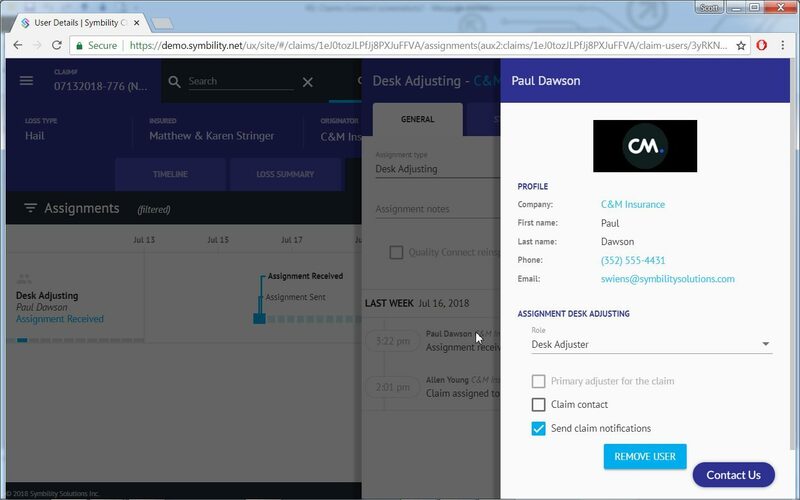 Want to learn even more about Claims Connect or request to get a demonstration of how it can work for your team? Just head over here.